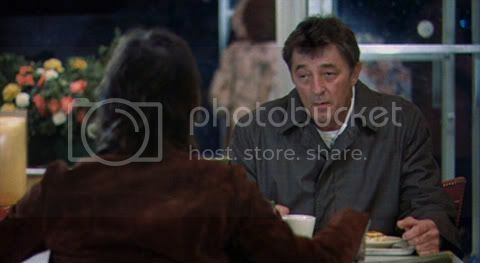 The Friends of Eddie Coyle (1973) was Peter Yates’s naturalistic crime drama about a small-time criminal from Boston (portrayed by Robert Mitchum) whose “friends” comprise an assortment of unsavory characters on both sides of the law. Grusin’s jazzy score features a raw, edgy character that emphasizes the film’s low-key, naturalistic approach. The music mostly highlights the film’s milieu (with several loud, funky cues) and accentuates the suspense scenes, leaving the story’s tragic undercurrent largely unaddressed until the melancholy finale. This premiere release of the complete score to The Friends of Eddie Coyle is newly mixed from the 16-track 2" master tapes. Three Days of the Condor (1975) is the story of C.I.A. agent Joseph Turner (Robert Redford) who stumbles on an agency plot that, although fictional, turned out—to the surprise of the writers—to be remarkably close to contemporary reality. In his first collaboration with director Sidney Pollack, Grusin created an upbeat and modern R&B sound—emphasizing romance,escapism and the then–cutting-edge technology employed by the C.I.A. Throughout the film the composer’s alternation of lighthearted jazz and more traditionally sinister scoring helps confound the audience’s expectations. This FSM CD features the 1975 Capitol soundtrack album for Three Days of the Condor (SW 11469), presented from the ¼" two-track stereo album master, as well as cues either omitted from or abridged on the album, newly mixed from the original 2" 24-track multitracks. FSM’s 24-page booklet, designed by art director Joe Sikoryak, includes numerous film stills and extensive notes on both productions by Scott Bettencourt and Lukas Kendall, including the usual track-by-track analysis. FSM is pleased to contribute to this great jazz master’s burgeoning film music discography—the disc is a must for all jazz lovers, Grusin fans and anyone who appreciates the unique character of a perfectly gauged jazz film score. Click on track TIME for MP3 sound clip..